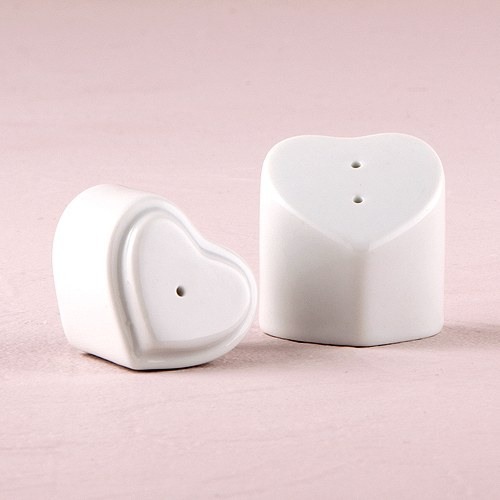 Cute and practical, your guests will adore these mini interlocking heart and pepper shakers. Elegantly designed, each shaker is shaped like a heart and can be stacked on top of each other resembling two hearts interlocking. If you would like to hand these out as favors, each set already comes individually packed for guests to easily take home. Otherwise, try setting these along the tables at your bash for a sweet look.